All bidders agree to be bound by this contract in order to bid: Please scroll and read ALL terms below:Please register with the Credit Card you intend to pay for your invoice. Individuals previewing items are personally responsible for any breakage/damage to items they are handling and will be charged appraised Fair Market Value for item(s) you break. (You break, you buy). StillGoode LLC, staff and seller ARE NOT responsible for accidents. Preview at your own risk! Auction starts closing on Wednesday, February 13, 2019 at 7:30PM CST Payment for your invoices will be automatically charged to the credit card that you registered with for the auction. We will run those cards immediately following the auction closing. 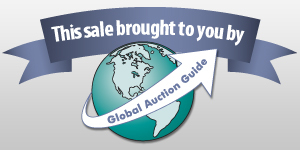 If you have any questions about your invoice - please email Dennis Sewell at auctions@stillgoode.com Pick Up date is Saturday, February 16, 2019 from 10AM to 2PM CST StillGoode LLC WILL NOT store your items for you. StillGoode employee's and their family can participate in this auction. Pick up and removal is strictly enforced; if you cannot pick up and pay for your items by these terms, please DO NOT bid! Any items remaining after pick up date, either paid or unpaid, will be considered abandoned and forfeited, but buyer is still under contract to pay. You may designate someone else to pick up your items for you; they will need to bring a paid copy of your invoice with them. Shipping: StillGoode does not ship. If you want something shipped please contact Pack & Ship Mail Center - 18482 Kuykendahl Rd, Spring TX 77379. Phone (281) 353-6100 Please notify us immidately after recieving your invoice so that we can prepare those items for Pack & Ship. StillGoode LLC can provide a quote for local shipping for large items or furniture on items that you have won. The request by email must be done prior to paying. The following information must be provided to give a quote - delivery address including any special delivery times, what lot items you need shipped. You can pay using MasterCard, Visa, American Express, or Discover. We do not accept PayPal. Buyer's Premium: there is a 10% buyer's premium added to bid on invoice. Sales Tax: 8.25% sales tax will be added to invoice unless you have filled out a valid resale tax form with us. If you are going to use a resale tax you must notify us prior to running the credit card - once they have been collected they will not be returned.Bidder's Contract: All bidders agree to be bound by this contract in order to bid: Read ALL terms below. All items are SOLD AS IS - WHERE IS, no warranty or guarantee of any kind. All sales are FINAL! Preview is Sunday February 10, 2019 from 1PM to 4PM at 5200 Louetta Rd, Spring TX 77379All descriptions are believed to be accurate and pictures take precedence in determing what is included in the lot, however, all bidding and buying is based solely on bidder's personal inspection and/or opinion of the items. It is the bidder's responsibility to: a) Perform all inspections of the items and to be satisfied as to its description, condition and/or authenticity prior to bidding. b) Independently verify any information they deem important including information available. c) Verify all information contained in the item description and all promotional materials, including, but not limited to, photographs, dimensions, conditions, etc. These were provided by or on behalf of the seller and are believed to be correct; however, neither the seller nor the auction company makes any promise, representation, guarantee, or warranty as to the accuracy or completeness of such information. d) Inspect all items prior to bidding. Failure to inspect the property does not relieve the bidder of responsibility for payment and removal as stated in these terms. All bids are a binding contract. Bidder acknowledges that once a bid is offered, the bidder shall be bound by the bid amounts. Bids cannot be withdrawn or retracted. Verify your information entered (ie: bid amount) before submitting your bids. Bidder agrees that by placing a bid on any item they are bound by this bidder's contract and agreement for auction terms and conditions. Buyer is responsible for providing the supplies (boxes, packing material, tools & equipment, etc) necessary, as well as the physical labor for dismantling, rigging, crating, loading, hauling, carrying and lifting of any items that they have purchased at their own expense and risk. StillGoode LLC is NOT responsible for any damage during loading, packing, removal or transport. StillGoode LLC DOES NOT provide load out help on pick up and removal date. Items are subject to additions and/or deletions prior to sale time/closing at the discretion of the auctioneer.StillGoode Auctions makes no warranty that: a) your use of this site will be uninterrupted, timely, secure or error-free, b) the results that may be obtained from the use of the site will be accurate or reliable, c) the quality of any information or other material obtained by you through the site will meet your expectations, d) the use or the inability to use the site, unauthorized access to, or alteration of, your transmissions or data; statements or conduct of any third party on this site; or any other matter relating to this site. In case of any errors or malfunctions of hardware or software, StillGoode LLC reserves the right to cancel any transaction, even if you have received confirmation of the transaction by email. We cannot and will not guarantee uninterrupted access to this site or its services. DYNAMIC CLOSING/TIMES LEFT: If a bid is entered within the last two minutes of the closing of an item, the closing time will be extended by two minutes to ensure sufficient time for bidders to submit their bids. Dynamic Closing will continue until no bids are placed within two minutes. If you have any questions please email - auctions@stillgoode.com - prior to placing a bid. Announcement:Information contained herein is presented on behalf of the seller. StillGoode, LLC, agent for the seller, cannot guarantee the information to be correct or assume the liabilities for errors and omissions. All lines drawn on maps are approximate. Buyers should verify the information to their own satisfaction. Any announcements made from the auction block on day of auction will take precedence over any matter of print and will be final.